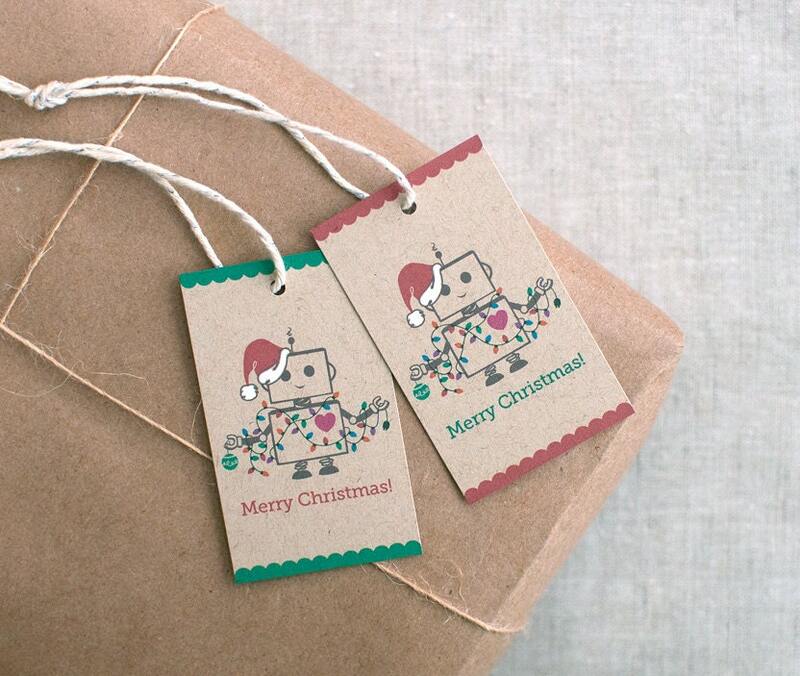 Cyber Monday Sale on Santa Robot Gift Tags made from 100% post consumer brown recycled cardstock. Half of the set has "merry christmas!" in red text with green scalloped trim on top and bottom, and the other half is green text with red lattice edging. Soft cotton cord with sparkly silver swirls to complete the set. Fun addition to holiday packages! Folksy :: Buy "2 Christmas Star Gift Tags"
Robin gift tags | Flickr - Photo Sharing! Folksy :: Buy "'Christmas Red' Pure Wool Handbag"